Swimming lessons are offered at Tufts University’s Hamilton Pool as a fund raiser for the Men’s and Women’s Swimming and Diving teams winter break training trip. Instructors are members of the Tufts Swimming and Diving team. We offer two sessions per college academic year—early fall and early spring. No refunds will be issued unless the space can be filled and notification given in a timely manner. 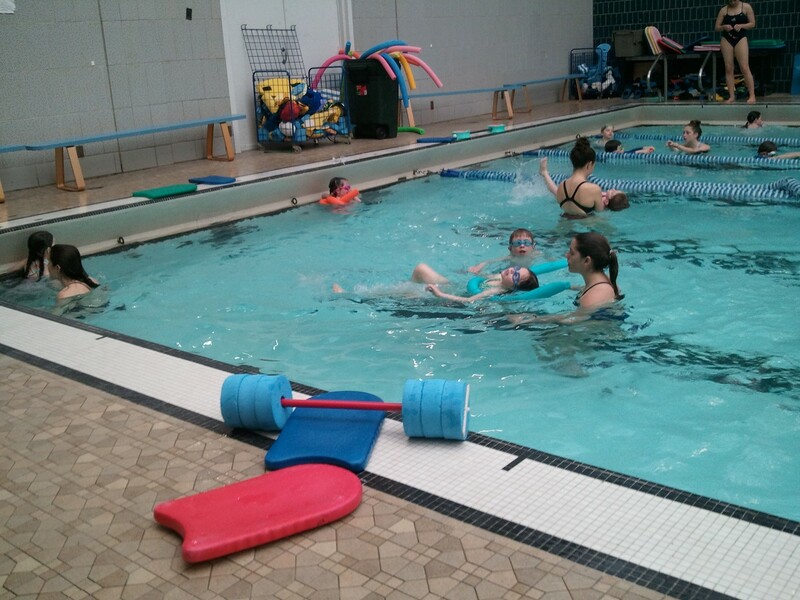 161 College Avenue, Medford, MA, between Boston Ave and George St.
All swim lesson participants must enter the building through the Main Bldg entrance. You may use the locker rooms on the ground floor of the building. **Girls are to use the women's locker room; boys are to use the men's locker room. The bathrooms at the front of the Indoor Track/Gantcher Center are available for family use, as well as the unisex bathroom on the ground floor of the Tisch Athletic Center. You will not receive a reminder that lessons are beginning, so please be sure to mark in your calendar after you receive your email registration confirmation. We operate under the Tufts University Academic Calendar and will have lessons as scheduled even if they fall on otherwise recognized holidays (i.e. Patriot Day, Religious Holiday, Columbus Day, etc. No parents or guardians are allowed on the pool deck. It is an easier and safer teaching environment if parents are not on the deck. There is a balcony and a viewing area at the end of the pool. If you have to miss the first lessons, please give us a call at 617-627-5112 or email us at tuftslessons@gmail.com. Also, it may be necessary to change your child to a different instructor after the first lesson in order to place two compatible children together. We do not guarantee that your child will have one on one instruction; the majority of the lessons are two children to one instructor. For the older, more advanced children, this ratio may be 3 or 4 to 1. We hope that your child or children will have a fun and successful session with us, and please remember that a lot of positive teaching can take place with a child that is happy and comfortable both in and around the water. And please remember that LONG HAIR SHOULD BE TIED BACK and SICK children should be left home! Due to the nature of our small teacher to student ratio, make-up sessions are not offered. A code for the University’s Cousens parking lot will be sent prior to the start of the session. Each Participant Needs to Be Registered and Paid For Separately and Needs a Unique Account. There are no events scheduled at this time. Please check back again soon as we regularly update our schedule.